Do you want to get more likes, more shares, or more sales? Many people who claim to be experts tend to view the effectiveness of marketing using vanity metrics- likes and shares. However, in this episode, we will cut through that noise with Derek Champagne, founder, and CEO of The Artist Revolution. 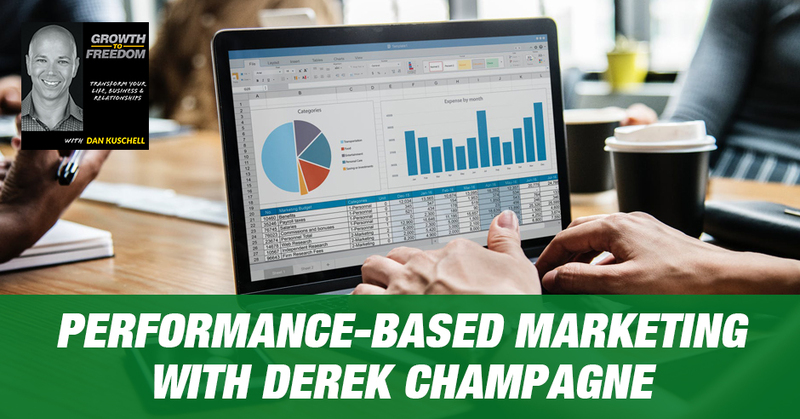 Derek is a definitive expert on strategic marketing; placing a high importance on driving the leads, sales, and profitability you need with performance-based marketing strategies you can use today. Derek will share the necessary tools you should use today to cut through the five crisis points. Derek will also explain the concept called PETMAG which stands for plan, execute, track, measure, adjust, and grow. If you are looking to shift your marketing strategy, this is an episode you won’t want to miss! 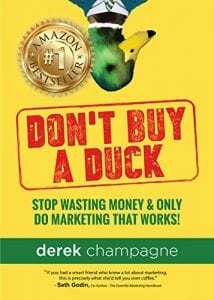 Don’t Buy A Duck: Stop Wasting Money & Only Do Marketing That Works! I have a question for you. Have you ever thought to yourself, “I’m doing what a lot of experts are sharing and showing me how to do and I’m no further ahead now than I was a month ago, six months ago, a year ago, or two years ago? In fact, I feel like I need to stop doing certain things.” What if you could discover performance-based marketing strategies from someone who’s a definitive expert in showing people how to get results? Your not-to-do list becomes far more important than your to-do list. There are so many shiny objects, so many tactics and when you scrape away the noise, there’s a simple formula you can follow. Our expert is going to share some of that with you. His name is Derek Champagne. He’s the founder and CEO of The Artist Evolution, a full-service marketing agency, building brands, marketing tools, campaigns for startups and business owners, entrepreneurs, even household brands that you’re using every day. He’s the author of the bestselling book, Don’t Buy A Duck endorsed by Seth Godin, co-founder of Champagne Marketing Courses. He has an incredible show called Business Leadership. He features celebrities, athletes, and leaders who have inspiring stories. Derek, welcome to the show. How are you? I’m doing great. Thank you so much for having me. I’m a big fan of what you’re doing and I’m honored that I get to share the stage with you. Hopefully, they get some great value. We have to thank our friend Jaime Jay who got us connected from Slapshot Studio. He said, “You guys have got to connect.” I was doing some additional research. As I recall, your first time on stage was three years old. Yes, it was. My parents were part-time touring musicians in the ‘70s and early ‘80s. Naturally, my brother and I were on the road with them doing sound. Three years old was my first time singing a song with my brother, I never looked back and I continued to make music and business an equal passion of mine. Is business more an art or science for you? I’ve never been asked that one before. There’s an art to it. It’s why our company’s called The Artist Evolution because it resonated. There’s the artistry side of it. It’s a little bit of both because I teach strategy. I talked about doing strategy over emotion that works best in strategic marketing. I have a chapter in my book, Getting Married Is An Emotional Decision, Marketing Should Be Strategic, but there’s the art side of it as well. You work with a lot of big brands that everybody knows. You work with small businesses and a lot in between. You have a variety of resources and tools. What do you see with what you do? What’s the biggest mistake you see most business owners, entrepreneurs making as it relates to their marketing? There’re a few things and I’ve got these five crisis points. I’ve been working with owners one on one. I see a couple other challenges. There’re some marketing challenges but I see business owners that are having trouble getting clarity and focus. That is either making them like an ostrich where they put their head in the sand and they do nothing or I see them trying to outspend their way. They’ve got an extra revenue or some businesses that happened to be doing well but sometimes they can’t pinpoint. I know business owners are smart. That’s why they got where they are but sometimes they can’t pinpoint what’s driving the growth. You mentioned I work with some bigger brands. One of the types of clients I’ve worked with other than startups are what I call wounded birds. These businesses sometimes are institutions. They’ve been around for 85 years, 100 years, maybe they’ve had some big PR challenges. Maybe they hit a certain life cycle in the stage of growth they going, “What got us here is not going to get us to the next part.” I’ve got a mentor, the Big A, Aaron Walker. He says, “Derek, what got us out of Egypt isn’t going to get us to the Promised Land.” That’s the same thing for this wounded bird. It’s going, “What do we do next?” They’re not always sure. That’s the type of clients that we work with often in order to say, “What have you been doing? What’s working, what’s not?” Here’s how you can confidently spend to go to the next phase of your business to grow. It can be so confusing. There are a lot of experts, a lot of false experts, pseudo-experts in the marketplace and they’re more interested in vanity metrics. I’ll speak to my view of vanity metrics, things like likes and shares. They play a role but if you’re trying to cash likes, you’re going to go broke pretty quick. If you’re trying to cash shares, you’re going to probably go broke pretty big. At the end of the day what moves the dial is performance, which how do you drive, leads, sales, and profitability. What do you do to keep people’s eye on the ball with all these potential distractions? What do you do to coach yourself clients to get that clarity and focus and not get distracted by all this noise? You will not log onto LinkedIn or Facebook or not get an email now. It doesn’t tell you about a new magic funnel. Some of them work because some of them are important. We do implement funnels into the campaigns we do but let me talk about the five crisis points. I’ve had an opportunity to review thousands of brands over the last fifteen years. I’m able to see what’s working, what’s not. We found these five commonalities. I’m the type of person where if someone tells me that I get a pen and go, “You’re telling me that there are five things that I can fix where when I spend my money I know where to put it?” “Yes. The five crisis points from startups that household brands deal with these things.” Some of them are going to go, “I knew that, Derek.” How deep have you gone with it to make sure? I can tell you that our own agency, I know a lot of these things but sometimes my own house is not an order like it should be. To make a customer journey, you have to think the whole relationship through. The first thing is understanding who am I? Who is your business? You’ll hear a few of these relate to the brand. I call the brand’s Bermuda Triangle, where a brand is having an identity crisis. Identity crisis is I don’t understand what makes me relevant, who I am and why it matters and what my unique position in the marketplace is going to be. How it’s going to matter in the next few years, what my competition is doing, how I stand out in that competition. Then who am I? As part of the who am I, we do extensive market research. We go, “You need to understand who your competition is when you’re understanding who you are.” We don’t want you to copy them ever. We’re not saying, “Go copy them.” I hear that often, “I’m not going to copy my competition.” Good, don’t. You need your own unique selling proposition. What makes you, you and why does that matter? You do need to know what the landscape looks like. Is it saturated? Often, I hear new company go, “We’re the only ones, there’s no one else like us.” We do some surface research and go bad news. Here are 80 pages of what your competition is doing the same and here’s how they’re doing it even better. They exist and if it doesn’t exist, look out because someone’s going to copy you if it’s a good idea. How are you going to stand out? Truly what makes you, you and makes you unique, take the time to do that. I realized after a decade in business that the world didn’t need another marketing agency. After a decade in business, having all these expenses and seeing the market going in different direction, consumer demands have changed. We are less loyal than ever because I’m the same way. “This doesn’t treat me right, fine I’ll go to another restaurant.” It’s the same. My best friend could have a business with me and a week later, be in another agency. We have so many options now and there are so many quick promises and we expect quick results. I’ve got to know what’s happening in my world, so I know where I fit and how I stand out. As I mentioned, hide your head in the sand. The next thing is going, “Who are they? That sounds simple.” Yes, it is, but do you understand your target customer? I’ve seen some massive campaigns miss that mark. You probably have to. You can turn on the TV and see and campaign and you go, “I know they spent money with some smart people, smarter than I, some big agencies but someone missed it somewhere. They didn’t connect it right. They broadcast the product, but they didn’t connect it.” To understand your target customer, you’ve got to think about the relationship. Think about your significant other. If you forget their birthday, how does that do for you? Probably not very well. If you don’t know what they like and where they’re hanging out, you don’t know where to find them. If they’re a vegetarian and take your spouse out to the best steak restaurant in town, it’s probably not going to go very well for you. You have to understand them. It’s critical and that brand’s Bermuda triangle, once you understand who you are, who your competition is, how your voice stands out to understand, “Here’s my customer.” More than their age, you understand their political affiliations. I’ve seen people not know geographically where their customer is or are they spending money on campaigns. You need to know where they are, what stage of life they’re in, where they’re hanging out. People say, “I don’t know where to spend my money. There are all these options.” Let’s start by understanding us and our lead message, how to make that connection. Let’s figure out who they are that lets us know where they are then we can start building bridges and highways. “Here’s our product and service and here’s why it matters and here’s why it’s important.” They’re empty nesting right now so they’re doing these things or they’re in parenting phase and this is what’s important to them. They’re going to Starbucks because they don’t have time to go to this place and whatever it might be. We get that. Then we go, “Here are all the bridges where we can build an organic relationship. We do business together and break bread together on an ongoing basis.” Bridging the gap between these two. That’s critical, the crisis points and then the next one is having the right tools. I want to dive right but you started to go into tools. The next phase in the five parts of crisis is tools. Speak to some of the tools that you see that are the absolute necessities that people need to be thinking about, the tools as it relates to the strategic side of marketing. When I talk about these five crisis points, they’re so interrelated that understanding how they work together is how you get successful traction in marketing. That’s why we do an audit. When someone says, “Something’s not working.” I go, “That’s not enough for me, though.” I usually find that either it was done inconsistently or wasn’t done properly. I might dig in and see that they had the wrong voice or they have the wrong customer or were not using the right tools. They were sending them into a nonexistent landing page or sending them to a website that made them walk through the desert once they got there. They weren’t holding their hand towards the sale and nurturing that relationship. The tools part is if you’re going to build a campaign and you’ve done those first things, “I know who I am, I know who my customer is, I know how I stand out, and I’ve got something of value,” that’s a great quality brand right there. You’re going to make it a marketplace. You’re going to last when others don’t, so congratulations. Why would you not have the tools you use be a proper reflection of that great brand? A lot of times, we’ve been guilty of this in our own agency. We’ll go, “Launch that campaign. Use what we have and go.” Why do we do that? It’s going to water down our message. It’s going to water down our effectiveness. I’ve seen even big brands do this. I’m not suggesting you create everything from scratch. You don’t need to. You make sure that everything you’re using is a proper reflection of the brand, the message, the tone, the mood, the adjectives, the phrases, and everything that you want to be around that framework of perception. It’s critical and take the time to fix it. Again, I can’t emphasize enough the frustration when you go to a campaign. It was something that simple. I’m like, “You’re willing to spend the time to get this part right. You’re willing to spend these tens or hundreds of thousands or millions whatever it is on this end, but you bottleneck it with some ineffective tools.” You have an opportunity, I say that every single time that your potential target rubs up against you in any way, make sure they know it’s a fit and that they can do business with you. Speaking of a fit and doing business with you, I’m curious. There’s this theory of, “I want to repurpose a lot of my stuff.” There can be a little bit of that apathy or laziness to purpose it the way you’re describing. 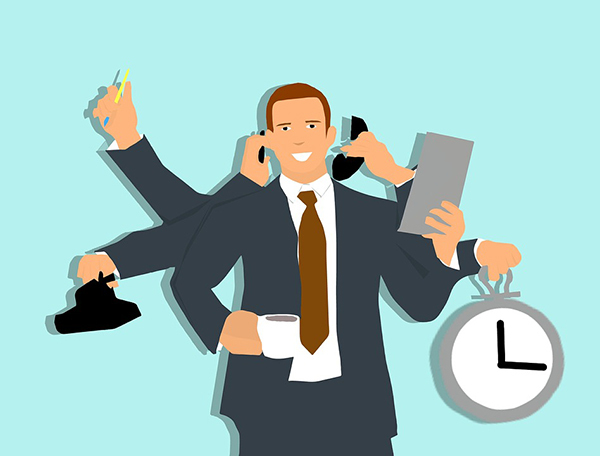 Speak to the idea of timely in this marketplace in marketing or timeless in terms of the communication and the messaging as it relates to marketing. When you say timing, I start thinking of promotions that have deadlines to them. That urgency type of sale is very important. What you’re making me think of is a broader picture. When someone says, “I’m going to do a trade show.” I see this all the time. I’m like, “What did you do before the trade show?” “We showed up.” “How about this? How about that we know who we’re talking to, why don’t we do this? Let’s nurture them for three months and let’s break it down by association chapters with a special discount and special message for that association chapter. There are 50 chapters. We can be very unique to them. Let’s give them the incentive to come to our booth. When they come to our booth, they get to engage with us in this way. Before that, we’re going to have a follow-up video to them that lets them know why they should come to it. When they get there, we’re going to have a text campaign for them to text in, so we don’t miss trying to grab a business card. When they do that, it sends an instant coupon back to them that they can redeem with a partner while we’re at the event.” Do you see how I’m thinking all this through right now? We’re doing a customer journey. If you’re all things to all people, you’re in trouble. If you can do that, we can put it on YouTube and you find ways to take that and repurpose it. If you’re having a great guest, why is there not a press release going out about that guest? What’s your tagging strategy coming out of that on social with that guest to grab their audience? What’re the second and third connections on LinkedIn around them? Those are timeless pieces that could continue to go out. I’ll give you a very specific example and Dan, you do it better than I do. I’ve got my Business Leadership series show. It’s on ESPN. It’s on other markets too. I’ve never ever once recorded an Alexa briefing ever but it’s the number one business show on Alexa Skills. I’ve never once recorded it. What happens is we go into the archives and we take audio and we repurpose it five days a week. We have a five day a week show, five days a week from audio we recorded with the rock star two years ago. There’s an example of repurposing and getting the most value out of it. I cut into the five crisis points. We had identity, we had get your perfect clients and then marketing tools. What’s number four? It’s having a plan. Number four, half of the companies we audited didn’t have a consistent plan. They were winging it. You can’t wing it because you can’t measure if you’re just winging it. I’m talking about making pivots. I understand making pivots. I’m a small business owner. I understand making pivots in business. I had to make a couple with our own agency for relevancy but you have to make a plan so that you can have execution that’s consistent. Your team can’t get around you if they don’t know what the plan is. To make a plan allows even your customers to help refer you. You have a plan. You can show them this is the plan, this is the growth, here are the venues we’re going to do. Here’s the outreach we’re going to do and it’s an integrated marketing plan. In my book, I have a chapter that says, “If things aren’t going according to plan, it’s probably you don’t have a plan.” Make a plan at least that shows you where you’re off. If nothing else, a plan shows you what you need to adjust. That’s critical. You must have a plan. It can be a two-page document. Ours are pretty sophisticated because that’s what we do at our agency. Make a two-page plan and write it out. Stop everything else and write it out and understand who your target customers, do a measurement on who you are and how you stand out. Make sure you measure all your tools. Write them all out. Are they working? Write out a two-page plan. Don’t pause everything else. The fifth one is execution. We’re a creative agency. We have some clients that work with us for creative. We have one client that’s a publicly traded company. We do 600 designs a month for them. We’re the creative. We build creative booklets for them but at our core, that’s not who we are. We’re strategy, implementation, and execution because all the creativity in your world gets cut on the cutting room floor and it’s worthless if you don’t understand implementation and consistent execution. I already know what you’re going to say. What’s more important, an idea or execution? Execution, idea gives me nothing. I’m a serial entrepreneur. I’ve had eight companies, I’ve failed at four. I’ve done pretty well for it and I can always point back to execution. There’s no shortage of ideas. You go to any coffee shop, any incubator room in the country and there are ideas floating around everywhere. There are some pretty cool looking charts even, but it comes down to implementation and execution. That’s the most important. I make a football analogy and talk about consistent execution is like making first downs. We always make first downs for our clients. The quarterback can make first downs. As you have a campaign and you do an execution, you’re looking at that. Most great plays in football, they don’t have that Hail Mary with a 90-yard run. They usually happen. What’s the goal? Get another first down. You’ve got your playbook. We call our marketing plans playbooks for clients. Here’s our playbook, now, let’s go. Not only we have literal huddles and then we go break, let’s go. Are we quarterbacking? Are you quarterbacking? Know who that quarterback is. That’s important in your campaign. I had a consultant who always says, “Derek, who’s the number one on this?” We’d get down these big strategy meetings, all these great ideas and then he would go, “Who’s the number one on this?” We’ve got to figure out who is number one. We assigned a number one and without fail, whoever is number one on it, that’s their job for execution. Who’s number one? You always have to know that and if you don’t have someone to assign it to, an achiever in your company. Those great plans happen when you do first down and first down and you look back you’re farther down the field towards your goals and then no panic. I’m talking about emotional versus strategic. We have an acronym that I coined called PETMAG. That’s Plan, Execute, Track, Measure, Adjust, and Grow. We’re strategic with the people we work within our own agency as well. We don’t have to panic. Emotion doesn’t rule the day. 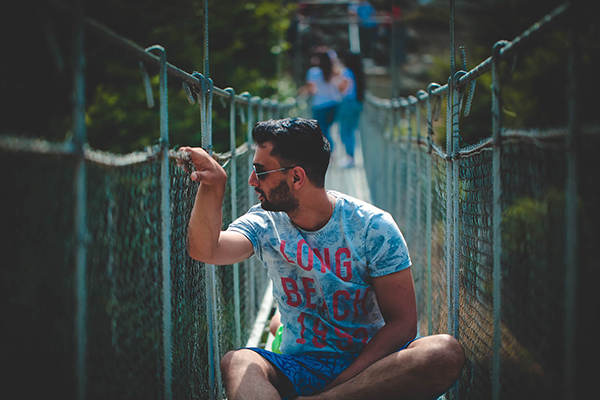 Emotion comes into our marketing when we’re making an emotional appeal about the service or product that had an authentically and appropriately connected with that and the person. I want to dive in and make a pivot here. As you’ve worked with your clients and you’ve worked with a lot, you mentioned literally thousands of clients. You’ve got case studies, insights, and wisdom. Things are changing so quickly. What would you say would be one to three huge breakthroughs you’ve experienced and/or you’ve helped implement and install with your clients that for small business owners and entrepreneurs, would move the dial, especially considering the time we’re in? I have personally been through one. I’ll make this as quickly as possible but I had a health scare. That health scare was me in an ambulance being told I was in a fight for my life. They said, “You had a heart attack.” It was a misdiagnosis. It was a funny story but it made me think clearly. What happened is while I was on that ambulance, I sat up and I looked over and literally saw my brick and mortar business. I was passing in the ambulance but me and the stretcher. It was one of those great things where it’s like, “I get it, universe. Thank you, God. I get it. I didn’t need a literal visual but you’re showing me, “Do I have balance in my life?” If you don’t have your health and your businesses are doing well, what does it matter? Maybe you look at things. When I realized I was going to be okay and my wife brought my laptop so I could make my schedule, which is funny. It didn’t seem so important anymore. I looked at my calendar and this is somebody who talks about all the time how to place the big rocks first. That’s what I teach people. Don’t do the little things, only do what matters. I looked at my calendar to move my schedule and I realize that about 60% of the things on my calendar or things that if I moved them off, it didn’t affect my family, my faith, my health, my bottom line or my company. It filled it up and so I said, “I’m done with this.” I stripped everything back and put only the big rocks back in. What that allowed me to do was see my company a lot more clearly. Our company was going into eleven years in business. About a month later, which was January, we took a big hit. It’s a quick $500,000 hit in January out of nowhere in that month. Here’s $500,000 a month gone from your business ongoing from month to month. It’s out. I said, “We need to look at some things that we haven’t looked at.” It was not anything at fault of our own. It’s a change in the marketplace and it showed us that we needed to niche down. 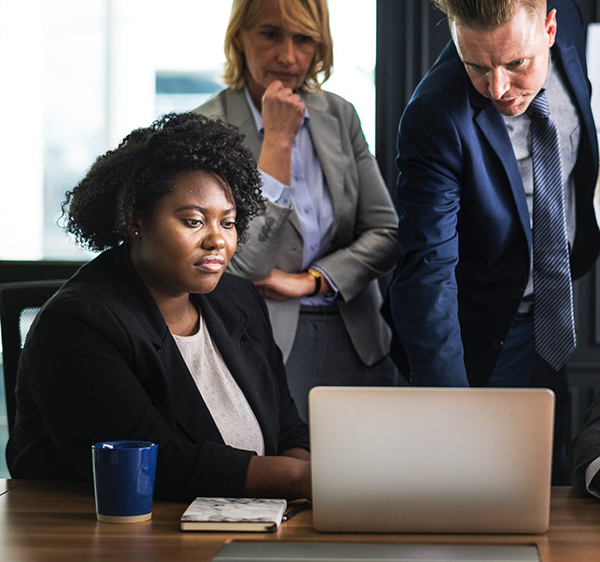 You and I touched on this when we talked and I said, “We’ve thought clients how to do this, but we haven’t done it.” We were being all things to all people, which meant that we were doing some things well and some things not so well. 80% of our challenges in our company were coming from that 20%. We know that rule. We realized that we were doing things we had no business doing it. It seemed like the things we were trying to do for value to get extra. “Let’s go ahead and do that for this client B because we want to get an extra. That’s the thing they were happy with it.” We decided to strip back and that’s what we did and encourage many to do this. If you’re all things to all people, you’re in trouble. There will come a time when either your competition gets bigger and you’re making enemies you don’t need to or you’re going to be such a generalist that where do you stand if there’s a change in the marketplace? We niched down and we realized our horizontal niche down strategy was, what are the services that you are good at and what do you have no business offering? We were doing digital, why were we a digital agency? That wasn’t our core competency. We said, “We’re not digital anymore.” Can you imagine how much competition we removed by saying we’re not a digital agency anymore? We stepped out of that space. Can you imagine how many allies we made? How many referral partners agencies we made by saying, “We’re strategy. When we do our job right, you have work from us.” We were able to show where we specialized and we said, “We’re strategic marketing specialists. We’re going to make playbooks and we’re going do an implementation program.” That’s what we do now. We had a horizontal niche down and we said, “That’s not enough.” We said, “We need to do a vertical niche down too.” What does that look like? Who do we best service? We can’t service everybody. In our portfolio, we have startups that are household names. There are food products that people probably ordered. It’s a pizza company and other national brands. We said, “Going forward, our marketing is focused on this.” Our vertical went down to community banks and healthcare and technology companies. We realize where we are and what we offer is more relevant to that type of company. They are either trying to be acquired or they’re acquiring and they need help with strategy and implementation. One of the things I realized and another important piece was we’ve been spending a decade trying to convince people of the value of our category, the value of hiring an agency, the value of building a website, the value of having a brand story video. It’s exhausting sometimes. Why is it not obvious? 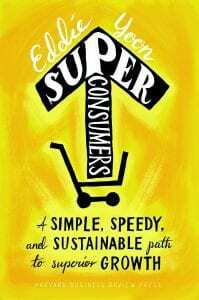 I had a guest on my show, Eddie Yoon who wrote the book, Superconsumers: A Simple, Speedy, and Sustainable Path to Superior Growth. He is a Harvard guy. In his talk, he said, “Focus on your superconsumers.” We realized our big pivot and this we’ll do with all our clients is we’re going to focus on people that are already enthusiastic about this category marketing. Here’s how we identified that. If they have a Chief Marketing Officer that means they have identified that they have value in marketing. Can we help others? Absolutely. Are there owners that don’t have chief marketing officer? Absolutely. For our time, we’re going to focus on these two products to these two verticals and they’re going to be Chief Marketing Officers that we can reach. It allowed us to hone in what we do and be the best at it, make more partners, have fewer enemies. Be more relevant for the next five to ten years guaranteed in the marketing space, which is becoming harder to do. It allowed us to refine our messaging to a micro level. We are now a CMOS BFF. You’re Batman, we’re Robin. You’re the hero, we’re going to build a strategy and help you implement and that makes it so much more focused on what we do. It allows all of our messaging, our tools and communication to be extremely focused. There are so many incredible lessons in what you shared. The big rocks, being able to hone in on your superpower and what you’re great at and what you’re good at and eliminate the rest. Focusing on your superconsumers, narrowing down to grow up or scale up or however you want to look at it. It’s not about having 100 products or 30 products or twenty products that make you successful, what are the essential most important? In this case, two products focused on two categories. What would that do for you if you could get that type of clarity in your business? Derek, this is a perfect time. I’d love to spend hours with you, which I’ve shared with you before. I hope we’re going to get a chance to help each other a lot over the next several years. Where can people go to learn more about you, the resources you offer and the tools? You’ve got a wealth of resources available that people can tap into. The timing on this is good because all of this is live at DerekChampagne.com. On there, I have several videos that talk about how you can work with our agency, at our consulting but most importantly are the free resources out there. We have our Marketing Strategy Webinar. It talks more about the five crisis points. I go into detail on it. It’s a free webinar that’s evergreen. If nothing else, go sign up for it and look at how we do our drip funnel campaign. You can critique it if you like and you’ll see how we’re able to nurture. It’s a great setup and then they get a whole nurture follow-up campaign. We have a marketing course, we have all kinds of free resources and that’s all at right there. I feel like I’ve sat through a seminar. This is powerful. I interview a lot of experts on a lot of different arenas including marketing. I don’t want this to come across like somebody saying, “I’ve heard that before.” I will say you packed so much value in here that if you don’t take action, I can only imagine what it will cost you. This was like a seminar or consulting session. If you unpack this and come back and go through each of the steps that Derek laid out for you, the playbook, the blueprint here and then go check out what he’s got going and you can’t go wrong. I do want to challenge you, go over to Derek’s website and take advantage of all the stuff, the webinar and the other tools and resources. I want to pivot a little bit, Derek. You’re a husband and a dad. You went through this health scare and we share a similar crisis in our past. If you were to turn to your wife and thank her for how she has shown up to support you, this dream or this innovator. You’ve had multiple companies. Four failed, four have done well. You’re an influencer in the market. What would you say to thank her for her support and how she’s shown up for you? I do thank her all the time. I could not do this without her. She does a lot of behind the scenes that she doesn’t get credit for. I know a lot of people say that behind every great man, there’s a woman or vice versa, but it is absolutely true for me. From my spiritual journey to my business journey to my journey as a family person, she has been influential in all of those categories. For that, I cannot thank her enough. She is the queen of our house. She does talk about our business too. She’s chosen to be technically a stay-at-home mom in a small entrepreneurial household. She’s a marketing expert. We have a course together. She’s one of the best marketing experts I ever met. She has a better agency resume than I do but you would never hear her brag about it. She doesn’t want to be on the front page of things. I’m on the front page of it. I’m on the front of everything. She’s behind the scenes. She does everything from the kids to the cooking, to research and development in our agency. She’s one of the best plan writers I’ve ever seen. She does so many things. She’s a great partner too. We’re best friends and we share a love of comedy. We actually met at a comedy club in LA when we both lived out there. We both shared an absolute obsession love with comedy. We go to every show we can and we love to laugh together, which I encouraged people to do. If you’re looking for something with your spouse, find a hobby that you two can do. Don’t go to your own hobbies. You can enjoy your hobbies but find something that you can do together. When you do that, that brings you close. Entrepreneurs and people sometimes do not have clarity because they are afraid. Thank you for sharing your family or at least giving us a glimpse there. This isn’t about business, this is about the human being side of life and business. I was known as a musician and as a class clown. You mentioned comedy. With the class clown, were you also the local high school comedian? Did you like practical jokes? Tell us more. No, I did play practical jokes on my buddies but I love the humor in things. I grew up in a very big family. We had 60 or 70 people live in our house. It was my brother and I, we had three adopted sisters. We were a foster family. Whenever there was someone in trouble in the town, they would call my parents and say so and so needs a place to stay. The shelters are full and my parents would say, “Come on over.” We know my dad didn’t have much money, but he always did that. We didn’t have air conditioning or cable TV growing up. We had music and to find the humor in things. For me, it was always, “There’s got to be humor in everything.” There must be something funny even in a desolate situation. There usually is. Think about the worst-case scenario of people dread Thanksgiving sometimes because of their family but when you watch a movie that shows dysfunctional families, everybody’s cracking up. There’s something beautiful sometimes in the dysfunctional and in the humor side of things, which helps. It helps give a balance in perspective whenever you’re able to do that and laughing is so healthy. We all get wound up so tight sometimes. Some things, at the end of the day, doesn’t matter to anyone but us. I look around at people around me who have their identities and a lot of times, I don’t care. I’ve told some businessman this before in a mastermind group and I said, “You guys don’t realize, I don’t care what any of you guys. I love you guys for who you are.” I know your motives. I know your drive. I know all that. If you failed at ten things, I don’t look at you any differently. I probably won’t even remember what you were doing a week ago because I’m going to be concentrating on helping you do what you’re doing now. People put so much pressure on their career or on their identity around things that are not as important or that can be fleeting. Nothing like a health scare, Dan can make you put that all back into a perspective pretty quickly. Can you remember back when you were first inspired and realized, “I’m going to go out on my own. I’m going to be an entrepreneur.” When was that and/or an event? The next one for me was seeing the scrappy guy who was an attorney in our town. I worked for him at eleven or twelve years old. As you can see, I’ve been working for a long time like many of us. This guy had more money than anyone I knew. He paid for law school this way. He was the window washer and he would take a bucket and a squeegee and he didn’t care what people thought of him. His friends were working at the mall making minimum wage. He was making $1,000 to $2,000 a day. He would take a bucket and a squeegee and tromp through people’s yards, barely missing flowers. Me tagging along behind him, looking up to him like this big kid and even knock on the door and go, “$100, can I clean your room?” They go, “No.” No problem, go to the next one. He would go until he’d hit twenty houses, pay me well and then take his money, worked two days and he paid cash for law school. He was the wealthiest kid I knew. That showed me earlier on, “I can go out and do this too.” I bought that company from him when I was right out of high school. That was one of the first companies. I built it up and sold it. It’s because he showed me that. That’s a small example but it set in motion for me what’s possible. That you don’t have to think within the confines of the traditional job and you can make your own path. That is so inspiring and thank you for sharing these things. What would you say would be a couple action steps you would hope our audience would take? I clearly talked about what to do for marketing those five steps. Make sure those are in order. We’ve got resources on my site or in our course that give you workshops, actual exercises you can do to see where you’re at with your customer. The other thing I’d like to challenge is we talked about clarity and focus. I had gone through this myself. You have clarity in where you’re going. The reason I see entrepreneurs and people sometimes not have clarity is that they are afraid. When digging down into it, they’re afraid. If they get the clarity, they have to act on it. If they act on it and they don’t make it, then they fail. A lot of times I see people that are entrepreneurs that are dipping their toes in but they’re not giving a full commitment because they need to stay busy. Silence, unfortunately or fortunately, will give you answers and there’s Buddhist Zen that says, “There is sediment and you can’t see clearly and you keep still, then it will fall to the bottom of the lake will clear.” If you want clarity, then let it be quiet for a few minutes, journal or focus. Pray if you’re a person of faith. Ask people around you, get focused and you will find clarity. If you’re worried about clarity then I warn you, don’t let it be quiet. You could fill up with all these noises and distractions. Why we’re always on social and posting these things is because we don’t want silence. I like to test it. Sometimes when I speak, I’m like, “We’re going to be quiet for a minute.” Ten seconds and these people are grabbing their phones. It’s uncomfortable. Get clarity and one of those things that helps is in clarity, when it’s quiet, you’ve got to learn to be brutally honest with yourself. That’s how I was able to make a pivot with my company. We won’t talk about the Stockdale Paradox but look it up if you’re not familiar with the Stockdale Paradox. That is an example of a war veteran who was in for nine years. He wasn’t sure how he’s ever going to get out this POW camp. He was tortured beyond. You can’t even imagine for nine years but he had faith and vision that he was going to get out. The people that had faith, they all died because they thought they were going to be out by Christmas and then out by Easter they weren’t. He was asked by reporters, “You said you have your faith, but that’s not enough.” He said, “The Stockdale Paradox is you have a vision of faith that you’re going to get where you need to go, but it has to be paired with brutal honesty about your current situation.” If you ever get brutally honest about your current situation, you can find out what you need to do to fix it. That happens in the silence. That’s my biggest advice because I’m seeing it happen on how the owners were getting that clarity and getting the results finally or they at least know what they need to fix. Sometimes we don’t know what we need to do. We don’t know what to fix. I’ll work harder, people will work fifteen-hour days with noise. There’s nothing worse than leaning a ladder on the wrong wall. That’s my advice. Get clarity and then you can have a focus and start to get the results. Do look up those marketing principles if you’re having any issues with traction in your marketing. He’s Derek Champagne. I encourage you, I challenge you to go check out what he’s got going on. You can go to DerekChampagne.com. Derek, it’s been a privilege to have you here with us. Thank you. It’s my pleasure, Dan. Thank you so much for sharing your audience with me and I appreciate you. If you never want to miss an episode, go to GrowthToFreedom.com/Subscribe. Seize the day, make it a great week and we’ll see you next time. 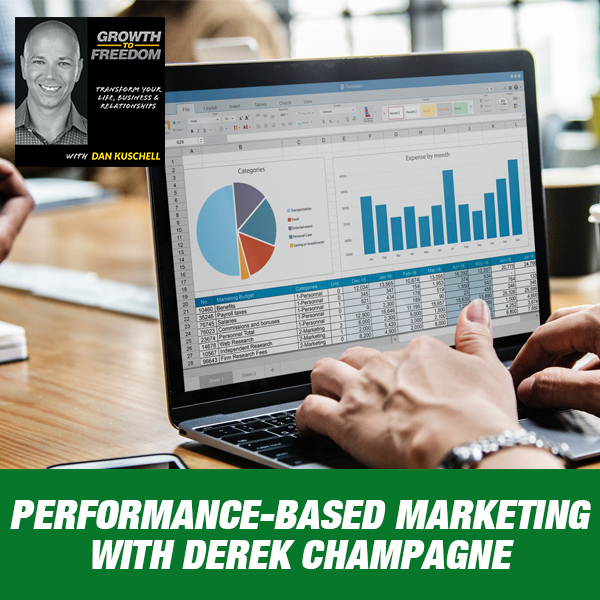 Derek Champagne is a serial entrepreneur with over 15 years of experience developing effective marketing campaigns. Derek shares his story of growing up from humble beginnings, on stage at age of 3, his years as a Hollywood musician, and his diverse journey to get where he is today. He is the Founder & CEO of The Artist Evolution, a full-service agency building memorable brands, marketing tools and campaigns for startups to household brands. 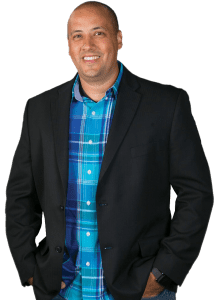 Derek is also the author of the best-selling marketing book Don’t Buy a Duck and the host of the popular Business Leadership Series podcast, that also airs as a weekly business show on ESPN radio regionally. Now Derek aims to educate entrepreneurs, business owners and marketers on creating effective marketing that drives engagement right to the bottom line through his online marketing course at www.ChampagneMarketingCourses.com. Derek is also a published musician with contributions on soundtracks that have been featured on ABC, MTV, Bravo, E!, and Oxygen.